Created by Founding Artistic Director Justine Woo, PanPan, Engel der Hoffnung features the performance of singer/ composer Peco Tsui and over 100 children actors, with brilliant original compositions and choreography. 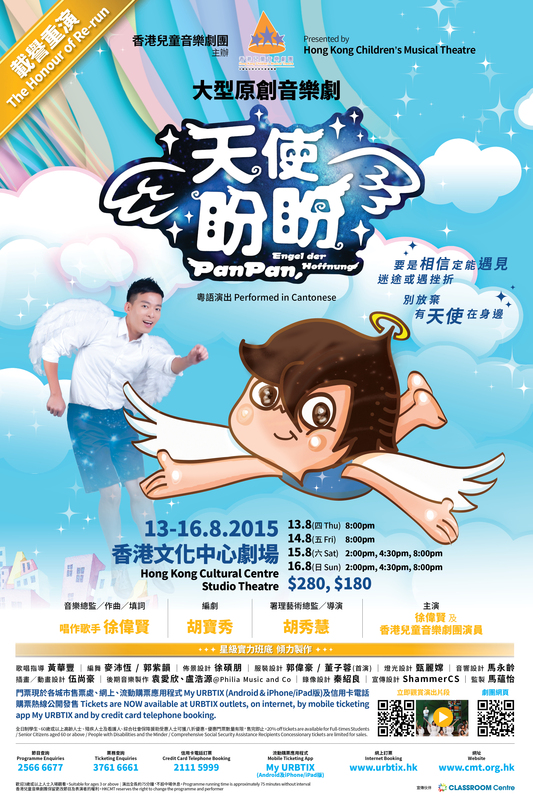 Let’s join PanPan’s touching journey of spreading hope and helping others! Tickets are NOW available at URBTIX outlets, on internet, by mobile tickting app My URBTIX and by credit card telephone booking.